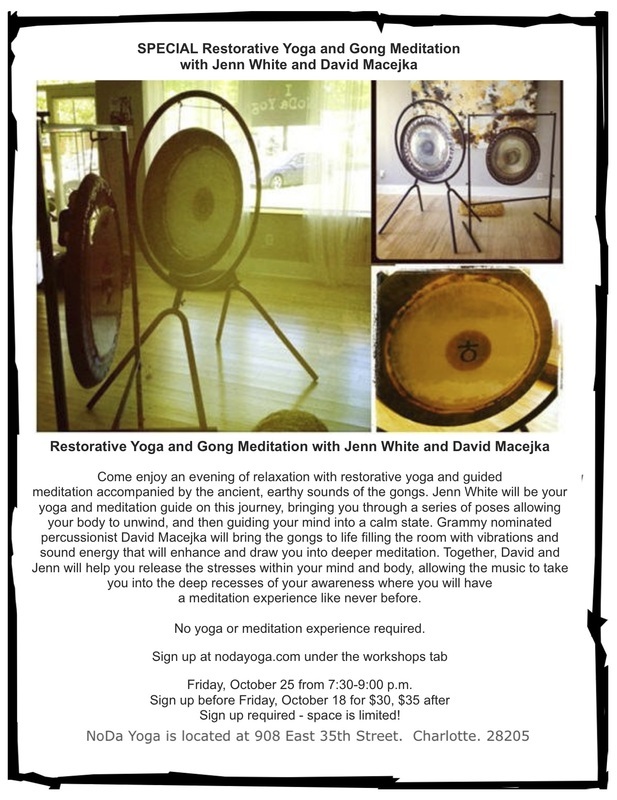 Come enjoy an evening of relaxation with restorative yoga and guided meditation accompanied by the ancient, earthy sounds of the gongs. Jenn White will be your yoga and meditation guide on this journey, bringing you through a series of poses allowing your body to unwind, and then guiding your mind into a calm state. 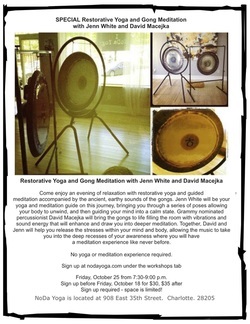 Grammy nominated percussionist David Macejka will bring the gongs to life filling the room with vibrations and sound energy that will enhance and draw you into deeper meditation. Together, David and Jenn will help you release the stresses within your mind and body, allowing the music to take you into the deep recesses of your awareness where you will have a meditation experience like never before. When: Friday, October 25 from 7:30-9:00 p.m.
Sign up required - limited to 15 students!